Messaging platforms like Viber have made it easy for users to call and text around the world without spending a dime. However, sometimes the need arises when we actually have to use the landline to make a call or text someone without relying on an internet connection. In most cases, this can be an expensive indulgence – and a hassle-full one as well. Thanks to Viber – a new feature is being introduced that will enable others to reach you using traditional phones. "We are delighted to introduce Viber Local Number, a new service that offers you great value inbound calls. ", announced Daniel Porat in a blog post on Viber. 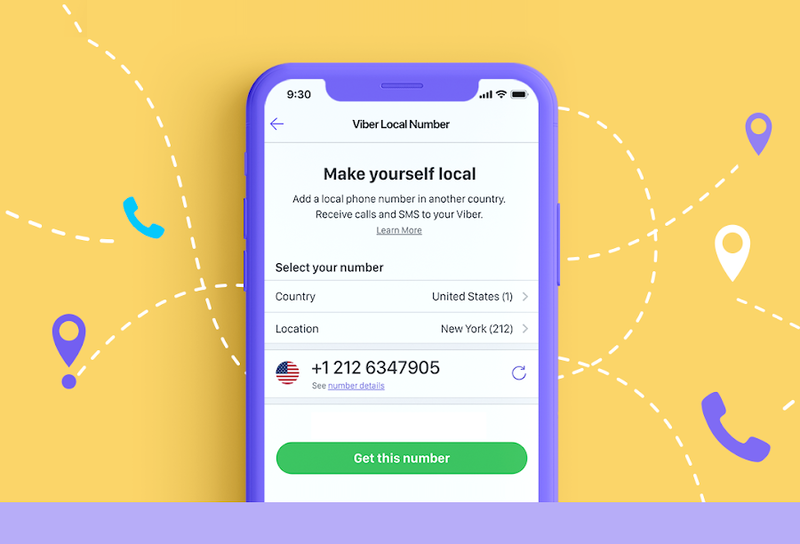 The Local Number Feature by Viber will give you a UK, USA, or a Canadian based number that can be utilized to receive calls and SMS directly through the Viber app. Although, there is no limitation to the number of incoming communications, there is a restriction to inbound calls and texts. Apparently, the feature is not completely free and Viber is giving the first 10,000 subscribers a lifetime membership at a monthly fee of $1.99. Other users can avail the service at a standard rate of $4.99/per month. Both the subscription models are cancelable anytime while there is no limitation to the numbers you buy too. The move from Viber is highly commendable but not being able to place calls or send messages can be problematic for many (if not most) users. This is especially noteworthy since other platforms like Google Voice, Talkatone, and Onoff allows the user of virtual numbers as an actual line. Additionally, ‘onoff’ supports more than 33 countries while the current offering by Viber is limited – although the company does promises to add more countries in the future. Note: Viber's local numbers can't be used for verification purposes, such as, receiving 2-factor authentication SMS/Calls from Whatsapp, Facebook etc. is not possible with this service.